Tom is the best. Very attentive and always available for you. No haggle and no fuss. I love my mini! I'm very late posting this, but had to give credit where credit is due. 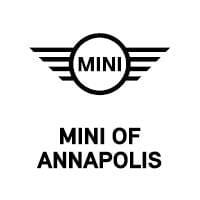 BMW of Annapolis Service was exceptional. We purchased our first BMW the beginning of January. About 2 weeks after the purchase, we started hearing something rolling around in what we thought was the dashboard area. We happened to speak to our sales person about it, he said that was like a surgeon leaving a clamp in a patient after surgery, not something BMW would do . We agreed. I went on-line and made a service appointment. The day I dropped the car off Justin helped me out. Justin said it was probably a pen that had been dropped in the car. When I was contacted about the car, Justin said he thought he knew what it was they found, but would wait until I picked up the car to show me. When I arrived, Justin said he thought it was a piece to a purse. It was actually a piece of a bracelet that I had lost that had fallen onto the floor and made it into the heat vent/duct that runs under the seat. I don't know what the odds are of something like that happening, but it did, and I looked around in a parking lot for that piece for about an hour when I lost it. Justin said they had to put the car on the hill and have the piece roll back and be contortionists to get it out. I felt bad, but was happy to have it out. On top of all that, I didn't get charged for the retrieval of my lost bracelet part, which I absolutely would have understood having to pay for. BMW of Annapolis Service, Justin and the mechanic are top notch !